"He just looked so thankful." 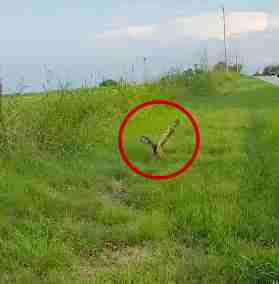 Marcia Wilson was riding along a highway in Oklahoma with her family when she spotted some commotion on the side of the road. "I had a feeling something was wrong so I told my husband to turn the truck around," Marcia told The Dodo. 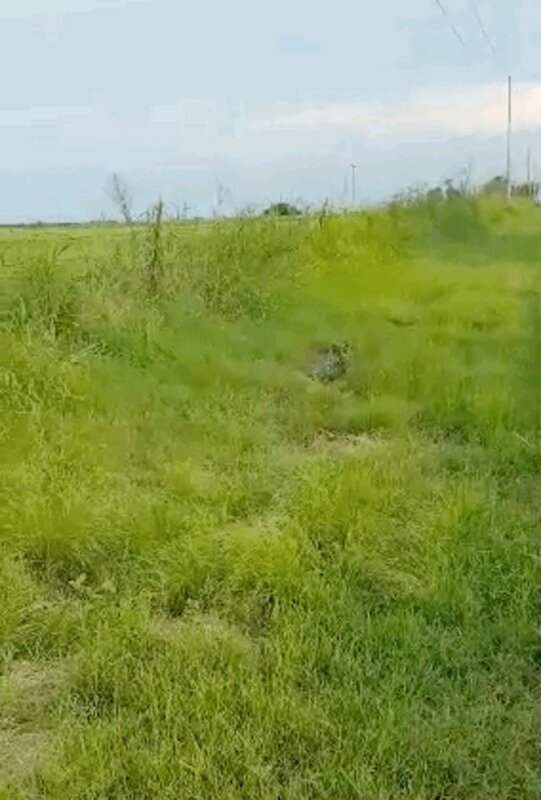 The Wilsons pulled over and saw a bird — a great horned owl — fluttering his wings a lot, but he couldn't seem to get more than a few inches off the ground. Marcia was right — something was definitely wrong with the owl. Marcia thinks he was out there struggling all night. He seemed utterly exhausted and disoriented. "I love all animals," Marcia said. "And I don't want to see any suffer." But it wasn't easy to help him — at least not at first. "I started to walk towards the owl, slowly talking to him," Marcia said. She spoke to him in a sweet, calming voice, as cars and trucks rushed by, obviously disorienting the creature. "He tried flying away but couldn't." Then something terrifying happened — he went into the road. "I had to stop traffic," she said. 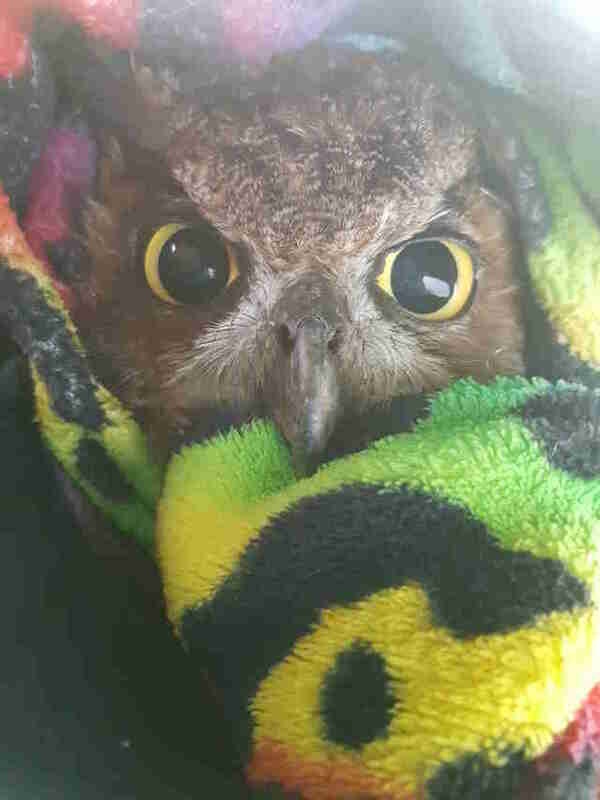 "My husband got out and distracted the owl and I threw the blanket over him and picked him up," Marcia said. 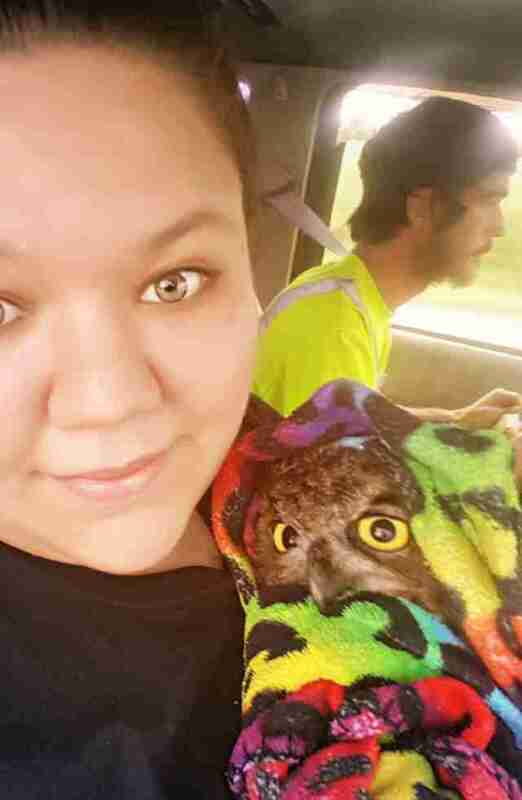 After wrapping the little owl up in the blanket — "luckily, my daughter had brought her favorite blanket with her," Marcia added — the family drove the bird straight to a wildlife rehabilitation center, Wild Heart Ranch, in Claremore, Oklahoma. 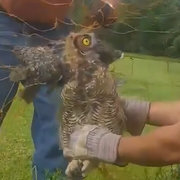 The owl, whom Marcia named Mr. Al, is currently recovering at the rescue center, which informed Marcia that he had a head injury, but he is expected to pull through. "The whole way there I held him swaddled in the blanket and he looked at me and blinked," she added. "He never tried getting away; he just looked so thankful." If you find a wild animal in need, it's always a good idea to call your local wildlife rehabilitation center for help. If you'd like to help Mr. Al recover, you can make a donation to Wild Heart Ranch.